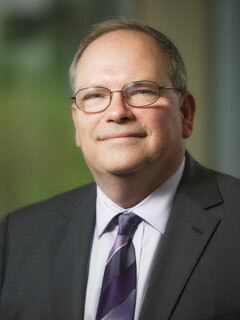 Charles D. Eckman joined the University of Miami as dean of libraries and university librarian in December 2013. He previously served as dean of library services at Simon Fraser University (2010-2013), director of library collections at the University of California, Berkeley (2006-2010), and principal government documents librarian and head of the social sciences resource group at Stanford University (1997-2006). Dr. Eckman has managed and consulted for several digital library and open access initiatives. He has served on the boards of the Canadian Association of Research Libraries (2012-2013) and the Canadian Research Knowledge Network (2011-2013). He served on the Depository Library Council to the Public Printer (2003-2006). Dr. Eckman’s research interests include information policy, open access initiatives, digital scholarship, and the history of scholarly communication. He holds a Master of Library and Information Science degree from UC Berkeley (1987), Ph.D. in politics from Princeton (1986), and a B.A. in political science from Indiana University (1979).